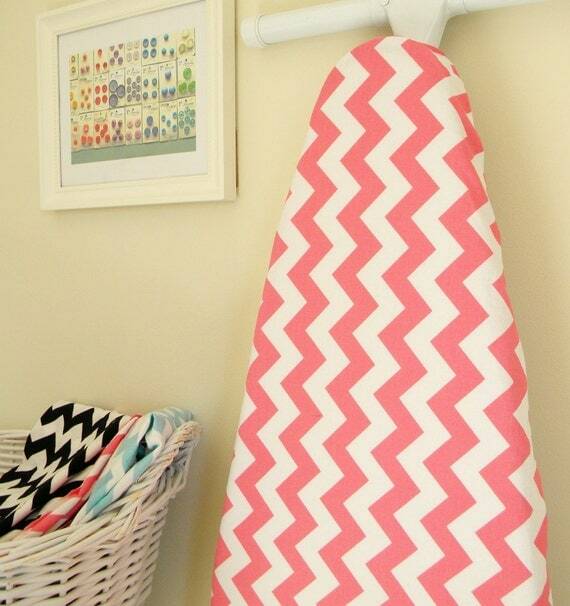 Just a quick reminder...Sign up for the Ironing Board Cover Swap, closes today! If you're still thinking about it - go on, just jump in and do it! Look I've even made a wee button for you to grab if you'd like to! I'll be in touch about Swap Partner details soon. It looked very different to when I last saw it but still contained great goodies and items I could not leave behind! I've restocked it with more items and this week it will make it's way back to Cat. Thanks for organising it! My baby girl turned two in the last couple of weeks... How did that happen? We had a very low key celebration and played the day by ear - friends, cake, pressies, the zoo, rain, bubbles, phone calls and a movie. I get all hormonal and tearful sometimes when I think about my babies growing up... and I know I'm not alone in this. It's not that I don't want them to or because I don't enjoy the next stage, No. I have loved every stage and every step and I have no doubt I will continue to enjoy each new phase. I think it's more about the fleetingness of this time. Being little and childhood only lasts for a very short time relatively. We are grown-ups for most of our lives and although there are many exciting things that come with the territory, it is pretty much what it is for years and years. Gone is the innocence, the cutesy talk, the dependence, the freedom, the purity, the soft squishy cuddles and the careless fun. Before we know it our children join us and the ranks of grown-ups in the responsibilities of life that is often more complicated and tricky than it needs to be. Boy that sounds morbid... it's not meant to be. I guess what I'm trying to say is that I want to celebrate their childhood as much as, and for as long as, I can. That is before we move on to celebrating their teens and adulthood! With winter well on it's way and wanting to make a couple of gifts for some sweeties, beanies seemed to be an obvious choice. I found a couple of patterns on Ravelry that I liked the look off and set to it. One for a girl: The pattern was pretty simple and it is also where I learned about fpdc and hpdc to create a ribbed effect. The flower is different from the one on the pattern. I may have made it up from flowers I've done previously. One for a boy: This pattern was easy but it needed a bit of zhuzzing up. I found a whole bunch of crochet motifs on Pinterest and decided on this little car one. For both hats I used two strands of 8ply Loyal wool. The girl one was adjusted in size and length to make sure it was big enough using my little model. The boy pattern was not adjusted at all (even though it's supposed to be adult size), but I think being fairly tight in my crocheting meant it ended up being the right size for a little boy. And the recipients loved them so mission accomplished! Looking forward to seeing what you've all been making! If you've been visiting Show and Tell during April, you would have seen the gorgeous giveaway we have this month... a set of fat quarters from either one of these ranges... Lovely isn't it? This is possible because of the generosity of some very lovely ladies in Gisborne: Fiona & Noeline from More than Fabric. We are a Mother and Daughter business indulging in the thing we love most - Patchwork and Quilting and all things hand made. Noeline (Mum) was a creative sewer from school and made clothes for the family until we took over the task ourselves. I, Fiona, is a creative patchworker with an excellent eye for colour and fabric blending. I was living in the UK when a friend from New Zealand visited and bought her quilting with her. This was my first real introduction to the world of Patchwork and Quilting. I was hooked. My goal always from that moment was to own my own shop. Mum joined Kevin and I in the UK 2005 and was quickly introduced to the highly addictive hobby and was very quickly hooked too. While living in the UK I taught classes at Just Between Friends in Buckhurst Hill Essex. I love teaching and seeing participants eye light up when they get it! Feedback has always been positive and depending on the project, folks usually left with a finished item or at best a block or three of a quilt. JBF also had a wonderful community of like minded people. This is our goal in Gizzy! And during the five months we have been open for business we have met the most amazing groups of people here in Gisborne. Our Tuesday and Wednesday sewing night get-togethers are a great group of creative folks willing to share ideas. Our classes are gathering momentum and enquiries for classes for school children encourage us for the future. Gizzy also has local craft markets which are well supported. Craft is well and truly alive here. Go and have a look at their lovely online shop with a delicious range of goodies. I'm sure you'll find something you cannot resist! And tomorrow will be the last opportunity to link up and be in the draw for the yummy fat quarter set! Thank you Fiona and Noeline for your generous giveaway! ...and a few ladies were keen! So let's kick this off shall we? 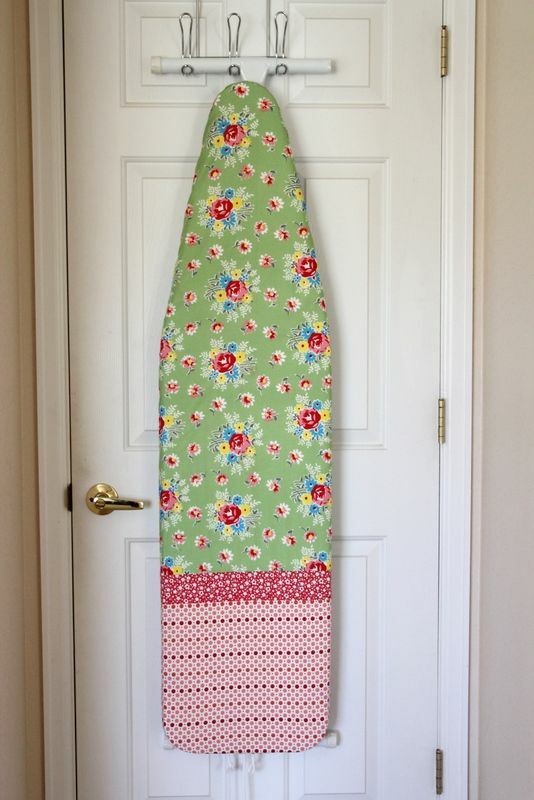 If you would like to join in on the Ironing Board Cover Swap, leave a comment or send me an email to let me know. Sign-up will close next Wednesday, the 1st of May. You will receive an email from me getting your details and some information and shortly after next Wednesday, we'll start partnering people up. There are a number of tutorials out there on how to make them. This is a simple non-padded tutorial. And this one is for a padded cover. I recommend having a wee looksee on Pinterest and the web and finding one that you're happy with. In all of them - as far as I can tell - you do need an outline of your board. So we will be sending our swap partners a template of our ironing boards - just so you know! The blogesphere has been buzzing with posts of the great Around the Table Bloggers Conference in Christchurch last weekend. What a weekend! Filled with amazing women and warm hearts. The team did a fantastic job of hosting, directing and entertaining 60+ women from around the country (insert lots of wild clapping and cheering here :) ). We were all assigned a name-badge-and-gift swap partner and I was paired with Megan from Mousehouse... To say I was a little daunted would be an understatement! And when I met her... she is so so lovely and I was in such awe meeting one of my crafty icons I could barely get a word out! My brain worked through lots of ideas for an original name badge that would capture Megan and her blog. Some were pretty involved and some were simple but none were right... and then I stumbled on to a very cute picture on Pinterest... I wasn't quite sure of how I was going to make it work but I had to - a little mouse in a house. I tried to choose colours that Megan would like and pieced a little quilt for the mouse. The 'name' part: Simple embroidery on linen, with a cotton backing for stability, in different stitches and colours, glued onto the front of the tin. But how to attach it? A pin might not hold? It may start pulling at her clothes? So I settled for a tie around her neck, that would make it adjustable too. A loop was glued to the back of the tin for the tie to pass through. 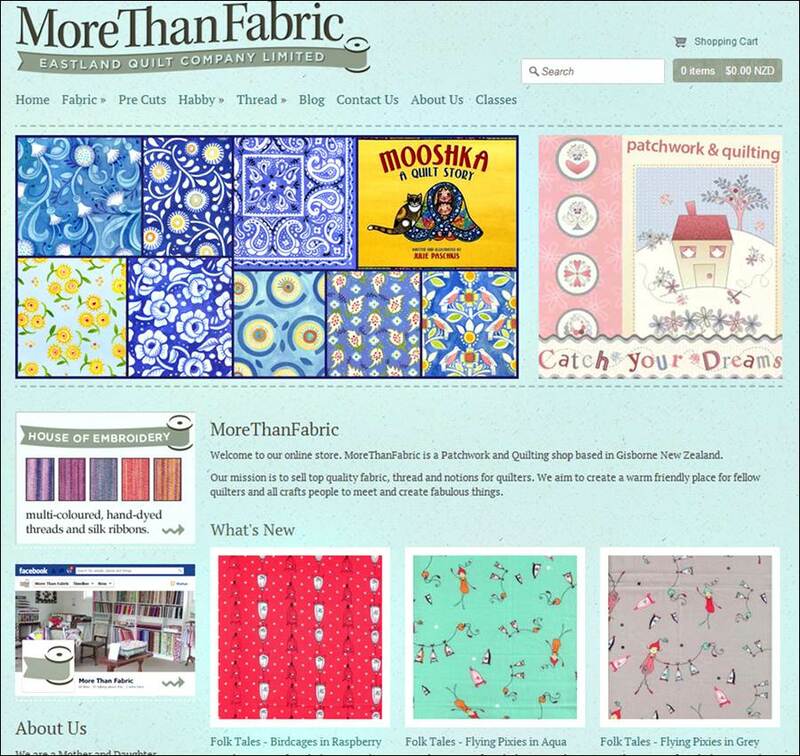 The wonderful April giveaway is sponsored by the great ladies at More Than Fabric and the winner can choose a set of fat quarters from one of these two ranges! Delicious fabric, isn't it? So here we go ladies... time to show us what wonderful and inspiring creations you've been making! Sorry for the awful quality night shots! One day I'll have enough to make an epic-sized retro granny blanket. One day... So when I'm between things or not really in the mood for a current project, this is quite a nice one to pick up and have a break. A couple of blocks every now and again is quick and achievable and ultimately adding to a bigger picture. Satisfaction still achieved. Thank heaven for long term projects like these - great for tired minds and restless hands :) What projects do you have on the backburner? Thanks for popping in and I hope you'll leave inspired by everyone's fab makings! Thanks to everyone who entered and to Penny Scallan for the goodies! ...to enter the giveaway! Winner will be announced tomorrow morning! My friend Lisa pinned a picture of him on Pinterest a while ago and with her upcoming birthday I was keen to make one. After delivering him to her front door, he decided he was in no hurry to make his acquaintance .. Grumpy little guy. A few weeks later though he was discovered and taken out of hiding to a warm welcome : ) No need for his histrionics after all! Winner Announcement! Rach from Making Mine Two has won the March giveaway - Yay! I'll be in touch soon. Gorgeous isn't it? I'm looking forward to giving you all a proper introduction to Fiona and Noeline in the next few days. So what lovely things have you all been making? Cant wait to see!